The 500 GPH Pool Cover Pump device is simultaneously powerful and compact. It removes water from pool covers with speed, at 500 gallons per hour. Pool owners should remove water from the pool cover whenever there is an accumulation of resting water, but especially before winterizing and closing the pool or opening the pool it for summertime. 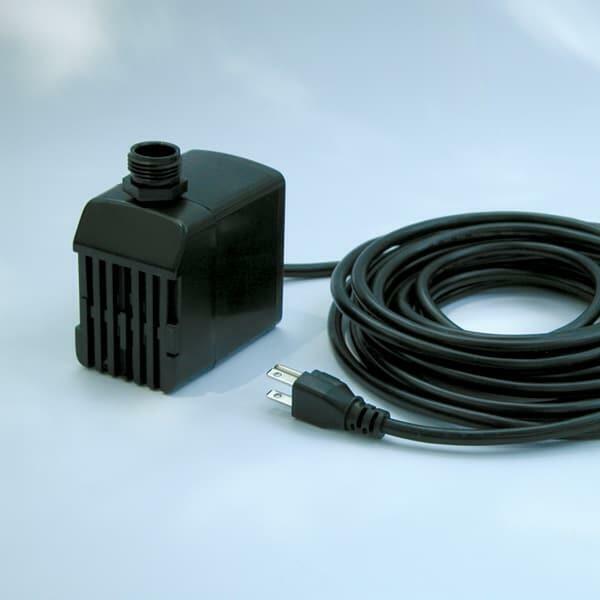 The 500 GPH Pool Cover Pump is lightweight, and operates when plugged into a standard garden hose and standard 110v outlet. It is effective when the submersible pump is placed in the water accumulation atop the pool cover. It will draw water at speeds of 500 gallons per hour. When the resting water is removed from the pool cover, unplug and remove the pump. It's a simple device, easy to use, but completely necessary for the vitality of your pool cover and health of your swimming pool.